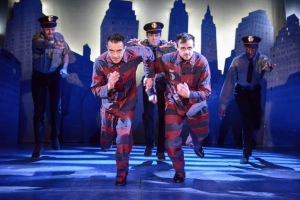 The Comedy About a Bank Robbery today announces an extension of its Olivier Award-nominated show to run until Sunday 3rd May 2020, as it celebrates its third birthday in the West End. Tickets for the new booking period are now on sale. Tonight marks the 1,423rd performance at The Criterion, the 7,115th theft of the diamond and the 10,584th appearance of the seagulls! The cast includes Samson Ajewole (Cooper), Jenna Augen (Ruth Monaghan), Jack Baldwin (Officer Randal Shuck), Leonard Cook (Robin Freeboys), Chris Leask (Everyone Else), Emily Stott (Caprice Freeboys), Gareth Tempest (Mitch Ruscitti), Jack Whittle (Sam Monaghan) and Jean-Luke Worrell (Warren Slax). From Tuesday 23 April the role of Warren Slax will be taken over by Matthew Cavendish and Jean-Luke Worrell will be taking over the role of Cooper. 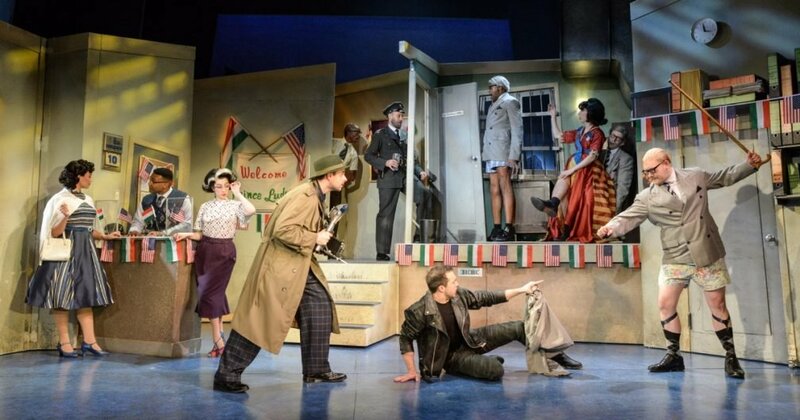 The understudies are, Rhiann Francis, Gracie Lai, Dale Mathurin, Kieran Mortell and Finlay Paul. As well as celebrating The Comedy About a Bank Robbery’s third birthday, Mischief Theatre are celebrating a roller-coaster start to the year. Having announced a brand-new season opening at the Vaudeville Theatre in September 2019, with new shows including Groan Ups and Magic Goes Wrong. In addition, The Comedy About a Bank Robbery UK tour is currently running until 8 June and the Olivier Award-winning The Play That Goes Wrong, is enjoying its fifth year at The Duchess Theatre, with booking until October 2019.